When you visit a beautiful destination such as Banff National Park, you don’t want to spend a lot of time driving long distances in your car. 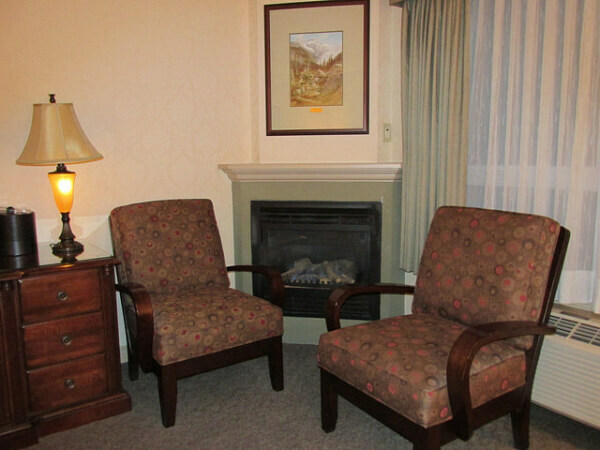 Instead, plop yourself in the alpine-laced town of Banff and book a cozy room within walking distance of downtown. That’s what I did when I arrived by train to Banff, a UNESCO World Heritage Site. 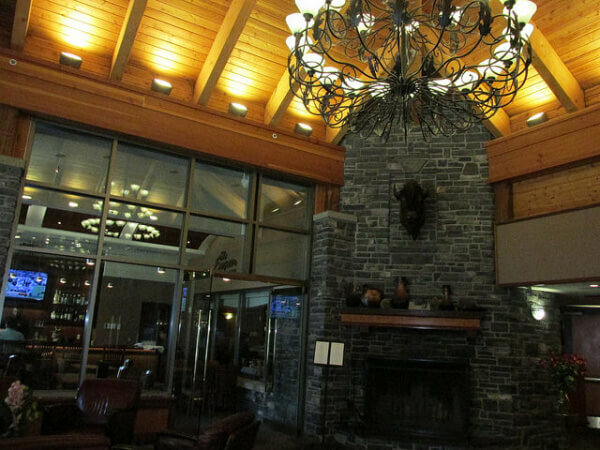 A short bus ride from the train station, we arrived at Delta Banff Royal Canadian Lodge in late afternoon. The hotel will appeal to business travelers and those on vacation looking to explore Banff National Park. 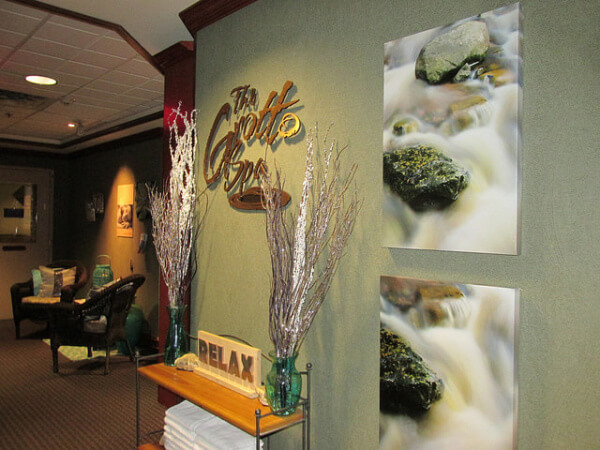 The four star hotel offers a restaurant, small business center, fitness room, indoor swimming pool and The Grotto Spa. 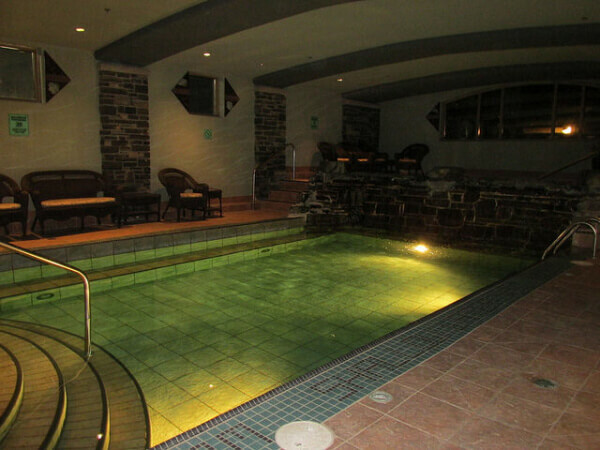 Truthfully, I spent the majority of my time in Banff touring the park, so I didn’t take advantage of the hot tub within the indoor swimming pool or The Grotto Spa. If I were visiting the park in the winter, I think you’d find me enjoying the mineral waters in the soaking pool. Royal Canadian Lodge offers 99 non-smoking rooms. Unfortunately, the hotel is not pet-friendly, but most people are not traveling with dogs when they visit Banff Park. For the business traveler, the hotel offers a small business center with computer and printer. 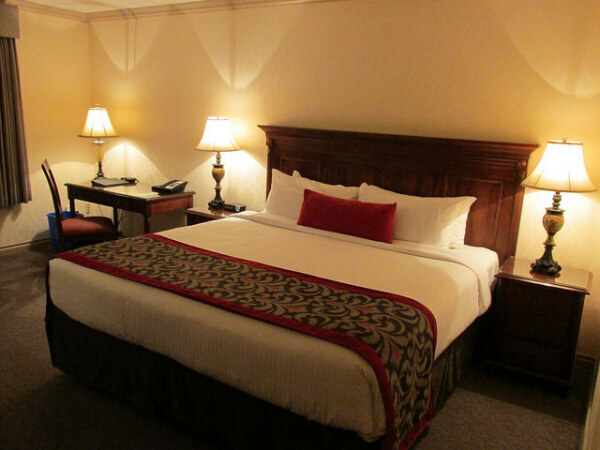 Lodge room amenities include complimentary high speed internet access, Apothia bath products, iron & board, in-room safety deposit box, 37″ flat screen tv, in-room coffee, hairdryer, mini fridge and bathrobes. I stayed in a premier fireplace room with king bed. I was traveling in the fall and didn’t yet have a need for the gas fireplace. I’d love to explore Banff National Park in the winter and settle in for an evening at the lodge, cup of cocoa in hand, in front of the fireplace. The Royal Canadian Lodge is open year round. Rates range from $199 – $480 May to October and $299 – $480 during high season. As always, check the hotel website for current pricing and special lodge packages.You can book directly online with the hotel, or you can compare rates and book through Expedia, Hotels.com or Priceline. For more travel tips follow Nancy D. Brown on Twitter and Delta Hotels Royal Canadian Lodge, one of 40 Delta hotel properties across Canada. Review and photos by travel writer Nancy D. Brown. Her stay was hosted by Rocky Mountaineer and Delta Banff Royal Canadian Lodge during her visit to Alberta, Canada, but her thoughts and opinions are her own.